Q8-DEWANIYA: The Athlete's Foot Security Ink Tag! 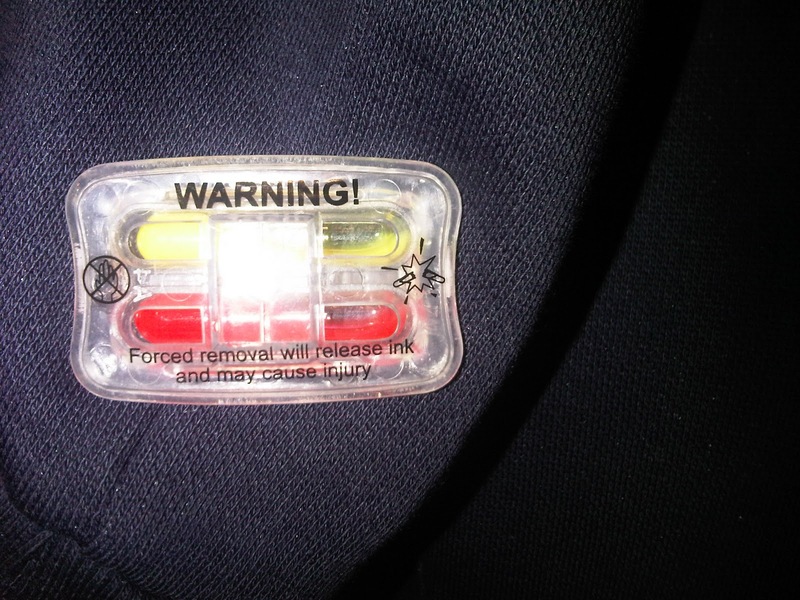 The Athlete's Foot Security Ink Tag! 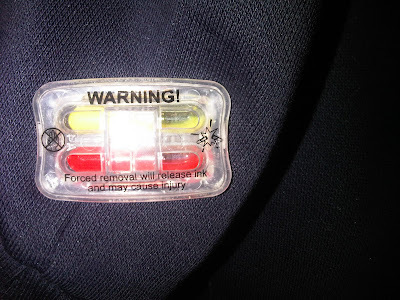 While I was shopping with a friend, I saw this interesting security (alarm) tag on the clothes at The Athlete's Foot, Its a great idea that if anyone tried to brake it or steel it, it will release ink!